Are you planning your next Disney trip and taking advantage of the latest Free Dining offer that is available? Or, would you like to plan your next vacation with Frances from Distinctive Journeys? 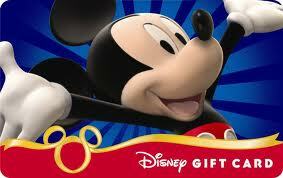 Well, the first thing you’ll want to do is enter our Disney Gift Card contest! 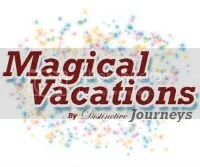 One lucky winner will win a $50 Disney Gift Card courtesy of Disney Vacations by Distinctive Journeys! The contest runs from Saturday, July 14th, 2012 at 12:01AM until 12:01AM on Wednesday, July 25th, 2012, so there are plenty of chances to win! The winner will be selected and announced on Facebook pages on Wednesday, July 25th, 2012, so good luck! If you want Frances Hedrick from Distinctive Journeys to help you plan your Disney vacation, reach out to her for a free quote! You can email her at frances@distinctive-journeys.com, or you can call her at either 888-419-6677 or 404-414-6198. If you win our $50 Disney Gift Card, what are you going to buy? Another great giveaway! Good luck! What a great giveaway! Thanks Mike! Previous Post: Running the rapids on Kali River Rapids! Next Post: Disney In Pictures: Hidden Mickeys!